Summer NAMM is the perfect opportunity to set your company up for a successful fall and holiday selling season by meeting face-to-face with the Top 100 Dealers, spending quality time with your customers and building your brand in the exciting atmosphere of the magnificent new Music City Center. 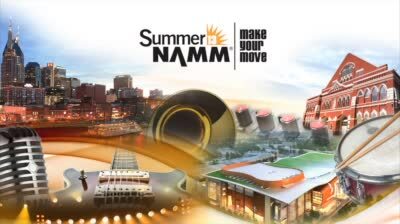 Who's making the move to Summer NAMM? NAMM’s midyear gathering is very different than our January show. It’s more relaxed, more intimate––it’s where deals are inked and friendships rekindled. Shouldn’t your company be represented? Find out more about how exhibiting at Summer NAMM can benefit your business. Contact your sales partner directly, e-mail tradeshowsales@namm.org or call 800.767.6266 (760.438.8001). You can also get more information and download space application forms at www.namm.org/summer. Keep your company headed in the right direction and join us at 2013 Summer NAMM, July 11–13.